Classic cars should be kept in pristine condition to protect their value. Many invest thousands of dollars into their classic car in order to maintain its original beauty. However, leaving it out in your driveway isn't the best way to care for it. If you own a classic car and want the best protection for it, you may want to consider the opportunity to rent a garage. 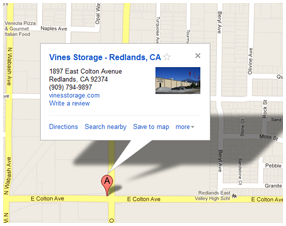 Redlands CA storage facility, Vines Storage, offers some of the best quality classic car storage in the area. At Vines Storage, we give customers the ability to rent out a garage space to store their classic car. Vehicles such as RVs, campers, boats, and other recreational investments can be kept in our facilities, locked, protected, and secure indoors. If you have a small garage at your home or none at all, renting a garage through Vines Storage may be one of the best ways to open more space on your property while protecting your classic car. Our storage units are also great for back-up space, business storage, and for those who are between locations and need a temporary space for their furniture, home decor, and clothes. Talking with one of our representatives will help you decide what unit and space is best for your needs. When it comes to classic car storage, either you can park your car in our larger indoor lot, or you can rent a garage area to lock and protect the car from others, either way, it is protected by our security system. The decision is entirely up to you, and as the customer, you have the ability to choose which storage option is best for your needs. From classic car storage to business storage, Vines Storage in Redlands CA focuses on providing our customers with the absolute best value and "bang for your buck." Unlike other storage facilities, we offer both indoor and outdoor units, and are able to offer amenities that no other local facility can. Knowing that you are getting the best value from your storage unit will ensure that the protection you receive for your property is some of the best you will find. If you are interested in learning more about the various storage options available at Vines Storage in Redlands CA, call us today to find out more about our price packages and available unit sizes to maximize space in your home and garage while protect your valuables.